Does St John's Wort Work for Depression? St. John's wort is a perennial herb that has been used since ancient Greek times to treat a variety of nervous disorders. Today, it is a popular dietary supplement that is thought to be useful for the treatment of certain types of depression; however, this presumption is not without controversy. Depression is a serious disorder, and St. John's wort may cause side effects, so it is important that you speak with a health care practitioner before taking the herb. St. John's wort has many chemical compounds and according to Laura Shane-McWhorter in her book “Guide to Herbs and Nutritional Supplements,” hypercin and hyperforin are the two main active ingredients found in St. John's wort that are thought to help the treatment of depression. McWhorter explains that hypercin and hyperforin may help prevent the re-uptake of the neurotransmitters serotonin, dopamine and norepinephrine, which are chemicals found in the brain that are linked to depression. McWhorter says that in order for a St. John's wort supplement to be effective, it should say on the label standardized to 0.3% hypericin. Many scientific studies have confirmed that St.John's wort is useful as an antidepressant; however, it is not thought to be helpful for all types of depression. The severity of the depression is considered the primary determiner of the herb's efficacy. Most studies suggest that it may be useful for the treatment of mild-to-moderate depression and it has been found to be more effective than a placebo for the treatment of non-severe depressive symptoms. More importantly, many studies have found the herb to be equally as effective as traditional antidepressants, providing the same benefits as Prozac, paroxetine, Zoloft, tofranil and all tricyclic antidepressants with fewer side effects in mild-to-moderately depressed patients. The herb is no miracle drug, however, and it is not thought to be of much help for severe depression. Black Dog Institute, or BDI, says that it is also unlikely to be helpful for the treatment of melancholic or biological depression. Furthermore, the strength of the active ingredients can vary greatly between supplements and BDI says that there is no way of precisely controlling the dose of active ingredients. Finally, the anti-depressant effect of the herb is not instant and it may take up to four weeks to notice any reduction in depressive symptoms. St. John's wort is often touted as a better alternative to antidepressants because it has fewer unwanted side effects; however, the herb is not free from them. It can cause severe sensitivity to the sun, sleep problems, dizziness, anxiety, gastrointestinal upset, and withdrawal symptoms. 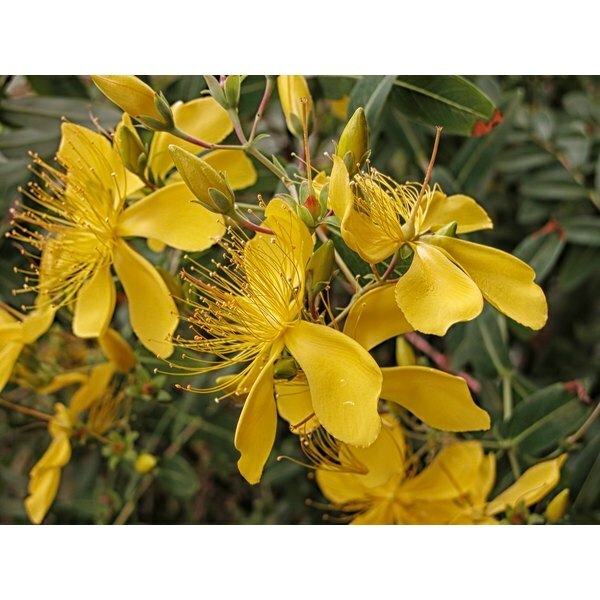 It may also interact negatively with certain medications and BDI warns that St. John's wort should not be taken if you are taking antidepressant medication.